Are you challenged by the stress and overwhelm? Are you not where you want to be in your life and constantly wondering why? Like many people, you are struggling with limiting beliefs. Once you identify those limiting beliefs, you can annihilate them and learn to change your state in an instant. Fill out the form below for instant access to your guide. 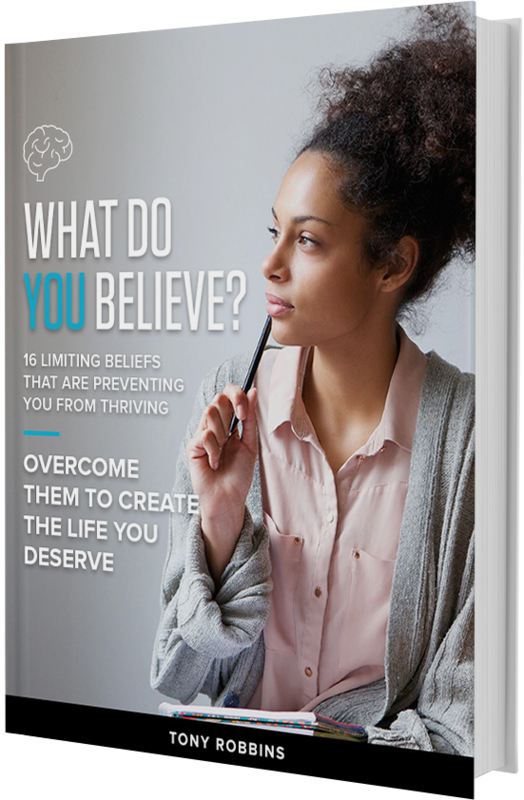 Download the free report to find out how Tony Robbins can help you create breakthroughs in your life by shifting your mindset and destroying limiting beliefs.